The Americans with Disabilities Act (ADA) has been credited with removing barriers for millions of affected people. Initially enacted in 1990, the federal regulation did not afford grandfathering clauses for older buildings and facilities. Effective March 15, 2012, the 2010 standards set minimum requirements for newly designed and constructed or altered facilities which provide public accommodations. In addition, state and municipal codes have also been implemented and may be more stringent. The minimum standards have opened up opportunities for litigation against property owners if their facilities are found non-compliant. Many municipalities have also provided links on their websites to enlist ADA complaint forms to aide in correction of non-compliant sites. What does this mean for property owners? How do I know if my site is ADA compliant? Our design team at The Clayton Engineering Company can provide ADA accessibility reviews for existing facilities. We also have the capability to work with local architects for interior building spaces. The accessibility review includes all exterior public accessible spaces including: parking lots, entrances, pathways, signage, etc. 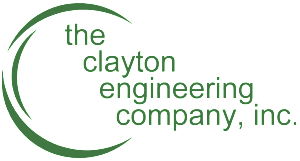 Should a building be found not to meet the requirements, The Clayton Engineering Company has the staff and expertise to provide solutions specific to your site. Our qualified professional team will meet with you to define the scope of an ADA survey which will be used to provide corrective measures. We can also follow up post-construction to ensure the measures fall within tolerances allowed. Below are a couple of visual aids provided as a courtesy of the United States Access Board. The animations cover just 2 of the many measures needed to bring a site to compliancy. 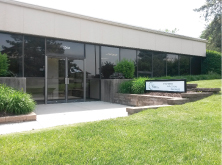 If you have questions, please contact us at 314-692-8888. Our team is here to help you. A printable brochure is also available for download here.